File folder labels are designed for typewriters or the handwritten approach. Create a professional and organized look for easy and quick file identification. Permanent self-adhesive make sure labels stick and stay without lift or curl. 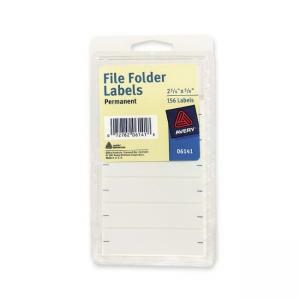 Rectangular labels are stored in a convenient and resealable package for easy storage.